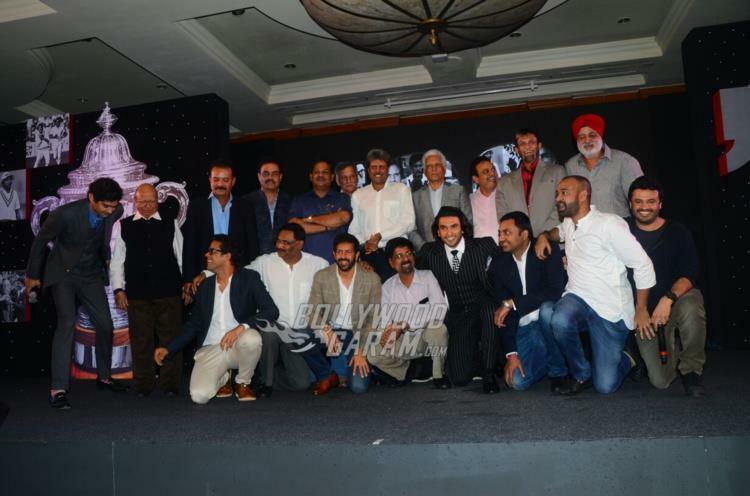 Ranveer Singh and Kabir Khan made the official announcement about the upcoming film which will be based on India’s memorable win at the Prudential Cup in 1983. A press event was hosted by the actor and director duo in Mumbai on September 26, 2017. 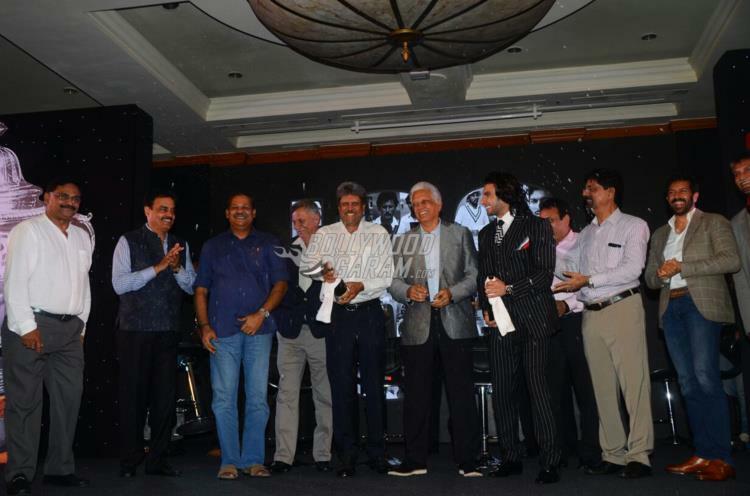 The event started off by honoring the legendary squad of 1983 including Kapil Dev, Kirti Azad, Mohinder Amarnath, Sandeep Patil, SS Madanlal, Balwinder Singh Sandhu, Krishnamachari Srikkanth, Dilip Vengsarkar, Yashpal Sharma and Sunil Valson. 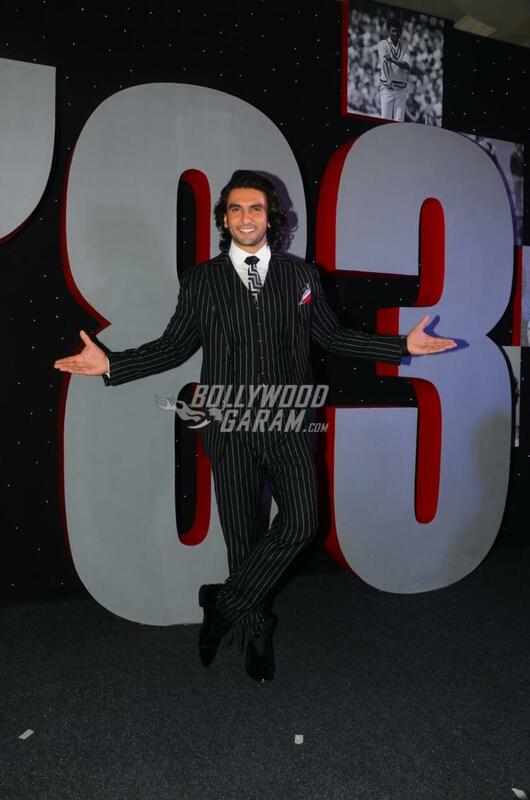 So far only Ranveer has been finalized for the role and Dev said that it will be a big task to recreate the 1983 team. Since it is the era of biopic in Bollywood, Ranveer is ready to play the role of the legendary cricketer. The actor is currently looking forward for his upcoming film Padmavati in which he will be seen playing the role of Alauddin Khilji. The film is directed by Sanjay Leela Bhansali and also stars Deepika Padukone as Rani Padmavati and Shahid Kapoor as Rawal Ratan Singh. 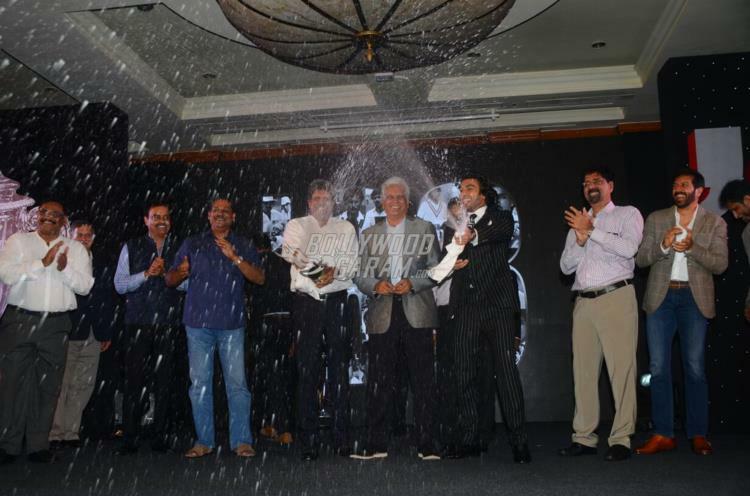 Exclusive photos of Ranveer Singh, Kapil Dev and Kabir Khan at the press event!